Arguing that our schools are currently in the grip of a “cult of rigor” — a confusion of harder with better that threatens to banish both joy and meaningful intellectual inquiry from our classrooms — Alfie Kohn issues a stirring call to rethink our priorities and reconsider our practices. 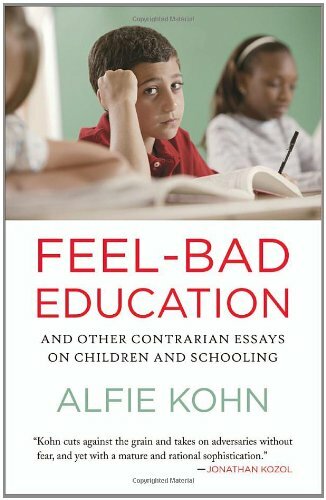 Kohn’s latest wide-ranging collection of writings will add to his reputation as one of the most incisive thinkers in the field, who questions the assumptions too often taken for granted in discussions about education and human behavior. In nineteen recently published essays — and a substantive introduction, new for this volume — Kohn repeatedly invites us to think more deeply about the conventional wisdom. Is self-discipline always desirable? he asks, citing surprising evidence to the contrary. Does academic cheating necessarily indicate a moral failing? Might inspirational posters commonly found on school walls (“Reach for the stars!”) reflect disturbing assumptions about children? Could the use of rubrics for evaluating student learning prove counterproductive? Subjecting young children to homework, grades, or standardized tests — merely because these things will be required of them later — reminds Kohn of Monty Python’s “getting hit on the head lessons.” And, with tongue firmly in cheek, he declares that we should immediately begin teaching twenty-second century skills. Three: Climate & Connections: How Does School Feel to the Students?